I use moot to get someone in my party for the resent arena duos update and it is really useful!!!! I love everything about this app, except that I don’t want a notifications every time someone posts in general. On my app it will show I have a 143 notifications when I really don’t. It’s just people who I don’t follow posting in general/featured. Also one more thing in LFG if I have my settings set a certain way and I’m on PlayStation I don’t want to see other people looking for people on Xbox or PC. Just saying. I’ve gotten 5 notifications from Moot today. None which are of my concern or regarding any game that I like or have mentioned in the app. I’ve only had this app for less than a week and I already fell in love with it. As much as I wanna rate this app a 5 star, I can’t because moot need some changes. 1)Many new users don’t know that they only have 3 name changes. You should add some sort of a counter like 3/3 name changes available or just make everyone pay tickets/coins to get a name change each time. 2) There definitely shouldn’t only be ten people in a group chat. You should allow people to be able to add up to ATLEAST 25 to 30 people. There are many people that have created clubs which are really cool. But at the same time, it’s such a hassle to have to create 3-4 different group chats just because you can only add ten people. I think that this app was a great idea! The creators were very creative and I use this a lot. Whether I don’t have someone to play with or I need somebody to help me with something I will just go straight to this app. 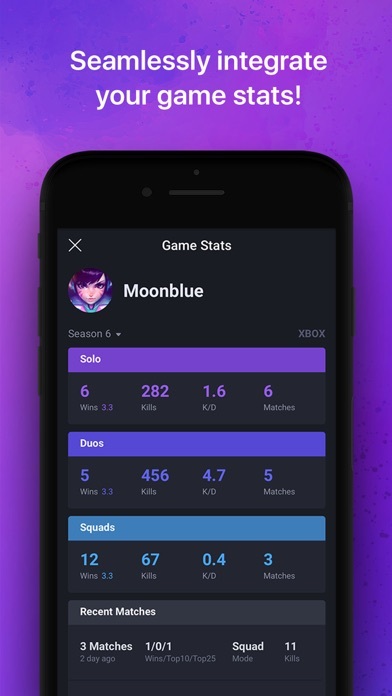 This app is so cool to met people on and play Fortnite! 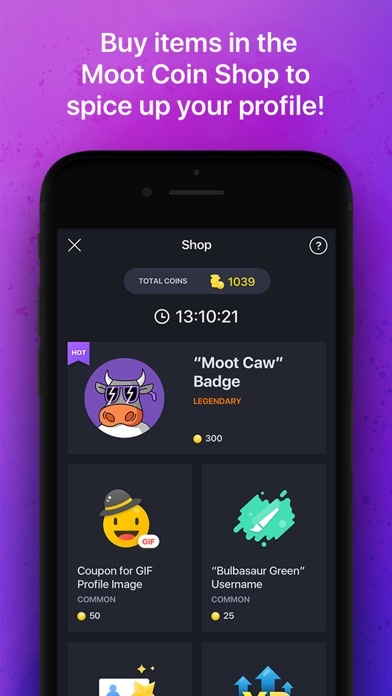 The app has fake giveaways toxic communities. They held a fake Apex Legends giveaway or at least never announced the winner of it I myself participated and i would check everyday to see what happened but it was never said who won. I know they can’t control what type of people control download the app but at least don’t let them be toxic. I was rudely encountered many times. Besides when I joined a community for a game I played and I would go to the front page it was nothing but self promotions. Please try and monitor what people say. I’m digging the app, I kinda wish there was optional location data so I could let others know where I’m from and have a way to get to know other gamers in my area. This app is great the LFG is supportive for all systems and all different types of playing. I am a Youtube who is wanting to grow my channel. Maybe you could add a feature to connect your channel and have a live feed if the YouTube info. Just a suggestion tho! i was a bit nervous. you know a start up app that is basically a social media. anybody can hack your account and stuff like that. it makes you feel good when the developers of the app really care about security. they show support to the people who are good, bad, or just love games who aren’t shy to get out there and find people in the world who have similar interests. if they just made it so people can justify if you are allowed to see there private info then that would make this my everyday app. these are my first week on this app and i’ve found great people different games who i love getting to know that i have fun with. trust me, these people aren’t adults trying to scam you. download and see for yourself! Okay, to start off, this app is a great idea. Finding people to play with because you have nobody else to play with is great. The problem I have with this app is NOT the devs fault. This community is pretty toxic. For example, I was looking for teammates in Fortnite, and I found some people, but they ALWAYS say stuff like “You need x amount of wins to play with me” and it’s really dumb. I don’t think there’s anything the developers can do about this, but I write this review as my experience. Ive tried a couple times, but I’m disappointed that this app is not sending my verification code to me. I cant go to Moot or do anything on the app. I would like if someone would fix this. It’s an app I feel like anyone who likes to play Video games will enjoy. 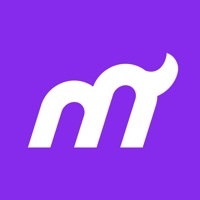 I’ve been getting a lot of suggestions about this app and I feel like this is an app where you and the other people in the games of your choice communities can talk about the game. 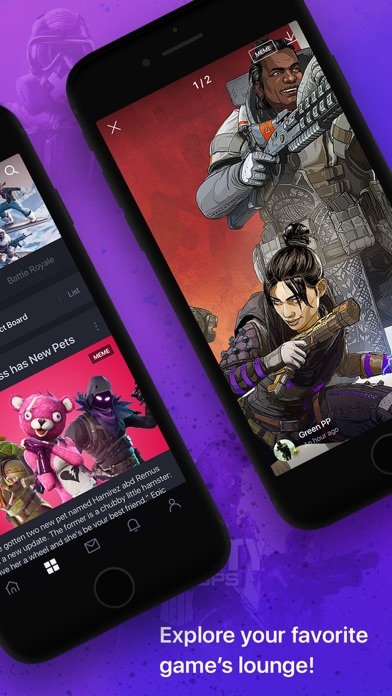 Great app for people in the gaming community to come together and share tips, artwork, and memes. This is a great app that really should be more popular than it is. The Devs listen to their users and that’s rarely seen these days. Their moderators are fantastic at keeping lounges clean and related. It’s a free app! Give it a try! The moderators are always happy to help with any questions you have! Now I never write reviews. Like ever. The last time I wrote a review for a game was when it gave me crazy things. But this app is amazing and I have met the best people to play Rainbow with, and it is so fun. Great app and amazing LFG system. I felt as a gamer, this was the best hub to be on competitive with Twitter. As a gamer, I fit right in. And I can get to play with people alike. Best app for me to use daily. If you need a coach or friends to play when them this is for you. 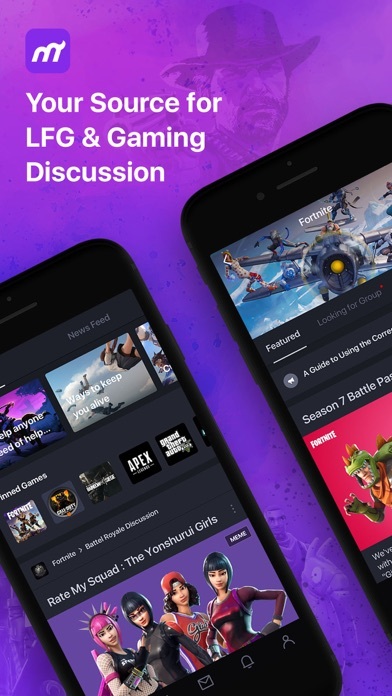 This app is a great way to pull the community even closer. 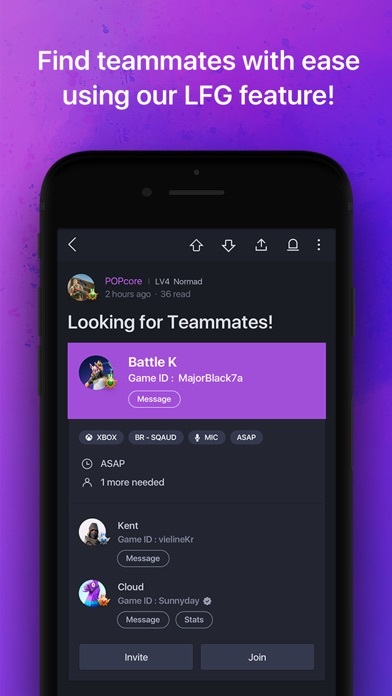 Now that cross platform is getting larger than ever this will definitely help you find the right team or even a great friend to play with for as long as you guys want. If the devs are reading this please note this: there should be more games added to the list...I’m not saying this is a bad app this is an amazing app but games like Forza Horizon 4 and few other games should be added but over all great job! Just do it if you are lonely. I’ve been in Facebook groups and ppl would always flake out when we try to join. Moot is easy and fast! Where’s the option to add my mixer!!!??? I keep on trying to go and pin some games but I can’t do anything on this app. It’s constantly showing pop ups that take up the entire screen and even when I leave whatever they take me to the same pop up shows up again.